Reliance Nippon Life Asset Management Ltd, India’s third-largest mutual fund manager, has filed documents with capital markets regulator to float its initial public offering (IPO). The firm that runs Reliance Mutual Fund joins a list of around a dozen firms that are awaiting a green signal from SEBI for their IPOs. In addition, around ten firms are sitting with an approval to float their public issues. The firm would like to take advantage of the bull-run in the stock market that has not just buoyed the stock market but also brought a horde of investor money into the asset management system. Total assets under management for mutual funds hit a high of Rs 6.3 lakh crore (close to $100 billion) last month. The issue comprises a fresh issue of 24.48 million shares and an offer for sale of 36.72 million shares. The issue size is expected to be somewhere between Rs 1,350-1,800 crore, based on the objects of issue from the IPO proceeds. Rs 540-720 crore of the total issue would go to the company through the fresh issue. The proceeds are to be used for inorganic growth and strategic initiatives (Rs 165 crore), backing the alternative investment fund (Rs 125 crore), setting up new branches and relocating certain existing branches (Rs 38.3 crore), upgrading the IT system (Rs 40.6 crore), advertising, marketing and brand building activities (Rs 72 crore), besides continuing interest in new mutual fund schemes managed by it (Rs 100 crore) and other general corporate purposes. Japanese partner Nippon is offloading 25.49 million shares while the remaining offer for sale comprises stake sale by Reliance Capital. The IPO would bring parity to the holding of both partners at 42.88% each. Currently Nippon holds 49% stake. Promoted by Anil Ambani controlled Reliance Capital, the firm is one of the largest asset management companies in India, managing total AUM of ` Rs 3,62,550 crore as of June 30, 2017. It is involved in managing mutual funds (including ETFs), managed accounts, including portfolio management services, alternative investment funds, pension funds and offshore funds and advisory mandates. It was ranked as the third largest asset management company, in terms of mutual fund quarterly average AUM (QAAUM) with a market share of 11.4%, as of June 30, 2017, according to rating agency ICRA. The firm started its mutual fund operations in 1995 as the asset manager for Reliance Mutual Fund, managed QAAUM of Rs 2,22,964 crore and 7.01 million investor folios, as of June 30, 2017. It managed 55 open-ended mutual fund schemes including 16 ETFs and 174 closed ended schemes for Reliance Mutual Fund as of June 30, 2017. The company has a network of 171 branches and approximately 58,000 distributors including banks, financial institutions, national distributors and independent financial advisors. As part of its managed accounts business, it provides portfolio management services to high net worth individuals and institutional investors including the Employees’ Provident Fund Organisation (EPFO) and Coal Mines Provident Fund Organisation. As of June 30, 2017, it managed total AUM of Rs 1,50,393 crore as part of managed accounts business. It also manages offshore funds through subsidiaries in Singapore and Mauritius and have a representative office in Dubai, which enables it to cater to investors across Asia, Middle East, UK, US, and Europe. As of June 30, 2017, it managed total AUM of Rs 2207 crore as part of offshore fund management portfolio and Rs 5277 crore of international advisory mandates. Original promoter Reliance Capital is a NBFC with business interests including in asset management and mutual funds, life, health and general insurance, commercial and home finance, stock broking, wealth management services, distribution of financial products, asset reconstruction and proprietary investments. Its co-promoter, Nippon Life Insurance Company, is one of the leading private life insurers in Japan with assets of approximately $577 billion, as of March 31, 2017. Nippon Life offers a wide range of financial products, including individual and group life and annuity policies. For the three months ended June 30, 2017 and the financial year 2017, it had total revenues of Rs 3,94.8 crore and Rs 1435.8 crore and profit after tax of Rs 87.78 crore and Rs 402.75 crore, respectively. From financial years 2013 to 2017, its total revenues and profit after tax increased by a compound annual growth rate of 18.2% and 15%, respectively. The firm had earlier roped in Eton Park as a financial investor in 2007 at the peak of the previous bull-run. The hedge fund firm founded by former Goldman Sachs partner Eric Mindich, bought what was then India’s top mutual fund manager for Rs 501 crore, valuing the company at Rs 10,000 crore. Eton Park exited its stake recently. Part of the stake was acquired by IIFL Special Opportunities Fund. 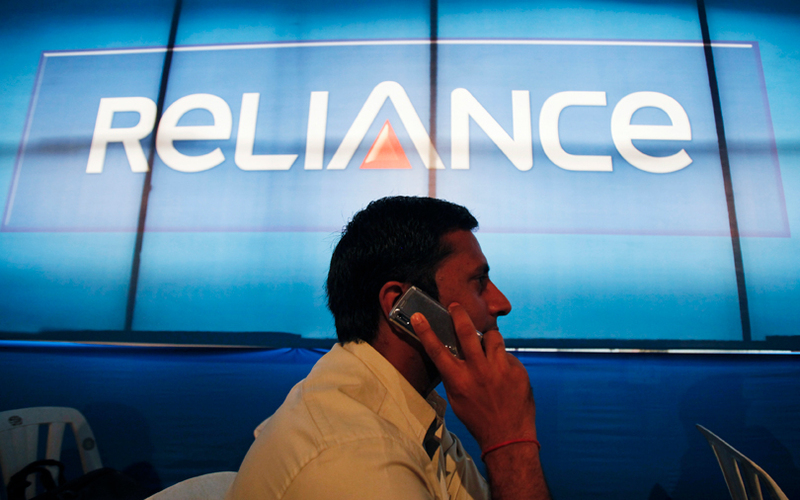 The deal valued Reliance Mutual Fund at around Rs 15,000 crore. Funds managed by international asset management firm Valiant picked 1.8% stake from Eton Park last week. The proposed issue would value the company around Rs 18,000 crore.